This slimming and "slinky" dress is sewn in a gorgeous viscose quality that looks and feels like thick and heavy silk. 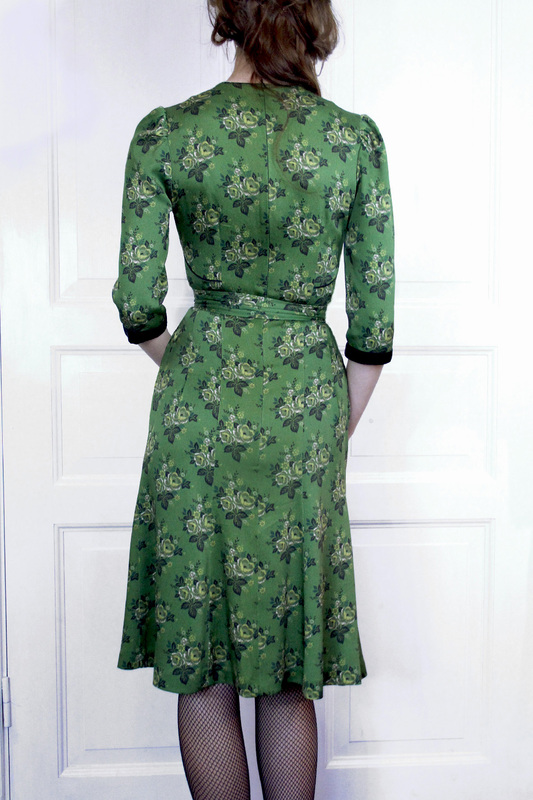 The pattern is special printed and designed by ESTER in flow with roses inspired by old "Kattuntryck". Enjoy the magical twist of the sophisticaded 40´s and Swedish folklore. Velvet tapes and black piping framing the feminine cut. You can close the neckline with hooks and eyes.